Healthcare is seen as a fundamental right by some and as a necessity by most. The ability to access healthcare and to afford various qualities of care is vital to survival, yet access to this basic requirement is both varied and stratified around the world. Concerns about health care availability, cost, quality, and providers dominate discussions about public health, leaving questions about healthcare's relation to personal freedom unanswered. Countries in all parts of the world approach this issue differently, providing both public and private care with varying degrees of success. On the various pages of this site, one can find information regarding the global trends in healthcare, quality, and accessibility of available public and private healthcare in first and third world countries, as well as the impact healthcare decisions make on personal freedom and societal health and safety. 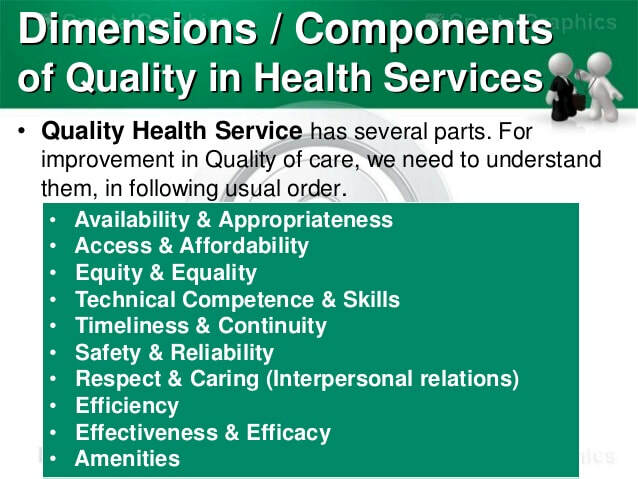 A breakdown of some of the important components of healthcare (15). Public domain.